Quality management system can be described as a set of key quality elements that must be in place for an organization’s work operations to function in a manner as to meet the organization’s stated quality objectives. Such a system provides the means to direct and control the organization with regard to quality. The increasing complexity of today’s healthcare services emphasizes the need for a systematic approach that both promotes and provides for the highest level of service quality and patient safety. 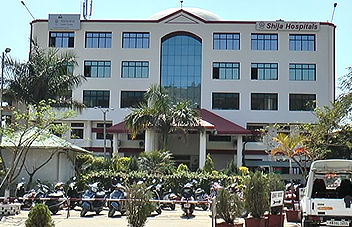 Shija Hospital, Langol is committed to provide value added innovative and continually improving healthcare services consistently through learning, interfaced with futuristic technology. We at Shija Hospitals, Langol will ensure that all the best practices are adopted for the provision of the highest quality of healthcare, to guard the overall safety of patients and their attendants, employees, facilities & the environment. Quality improvement is about ensuring that our focus is on improving, not just maintaining our services at Hospital. Quality improvement involves a focus on the safety, effectiveness, efficiency, acceptability, accessibility and appropriateness of services for consumers (who might be patients, relatives/parents, or the hospital and other health care professionals).